According to a new study by researchers from the Intermountain Heart Institute at Intermountain Medical Center in Salt Lake City, pitavastatin, a newer cholesterol-lowering drug, may reduce the risk of heart attack and stroke in up to 68 percent of patients with high cholesterol. The findings are important because up to 15 percent of the nation's heart patients can't tolerate other statin medications, currently the most effective cholesterol-lowering agents available. "Many of the patients who were not able to tolerate other statins developed side effects, such as myalgia or severe muscle aches,” said Brent Muhlestein, MD, cardiologist at the Intermountain Heart Institute, and lead researcher for the study. “However, our study shows that pitavastatin may be a more tolerable statin that patients can take that will be effective in lowering their cholesterol, and may even save their lives." The research team identified 40 patients who had tried at least two other statins and tested them to see if they could tolerate pitavastatin, and if it was effective in lowering their LDL or "bad" cholesterol. All patients received initial baseline testing, including fasting LDL cholesterol levels. They were then given 2 mg of pitavastatin (also known as Livalo), per day. Those who could tolerate it were then tested again to see if their LDL cholesterol had been reduced. Sixty-eight percent of the study participants were able to tolerate the side-effects of pitavastatin, which lowered cholesterol by an average of 34 percent. Patients who could best tolerate the drug were males with no history of heart disease or diabetes. "We're excited about these findings," said Dr. Muhlestein. "If patients are having a hard time taking older statins, they should try this newer option. We believe the side effects of this drug differ from other statins because pitavastatin is water-soluble and metabolizes differently." The Intermountain study also confirmed that pitavastatin is far more effective than any other non-statin option. Ezetimibe (Zetia), for example, is a drug that blocks the absorption of cholesterol and is a non-statin treatment option, but it only lowers bad cholesterol by 18 to 20 percent. Another option is healthy margarine, but that only lowers it by 5 to 10 percent. 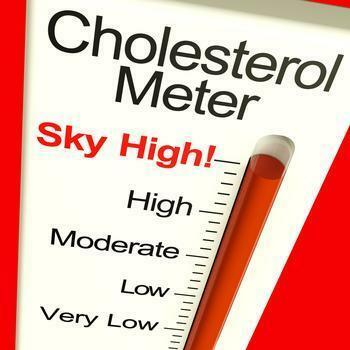 Pitavastatin, by contrast, lowered cholesterol by an average of 34 percent, according to the study. Are statin users developing a false sense of security?